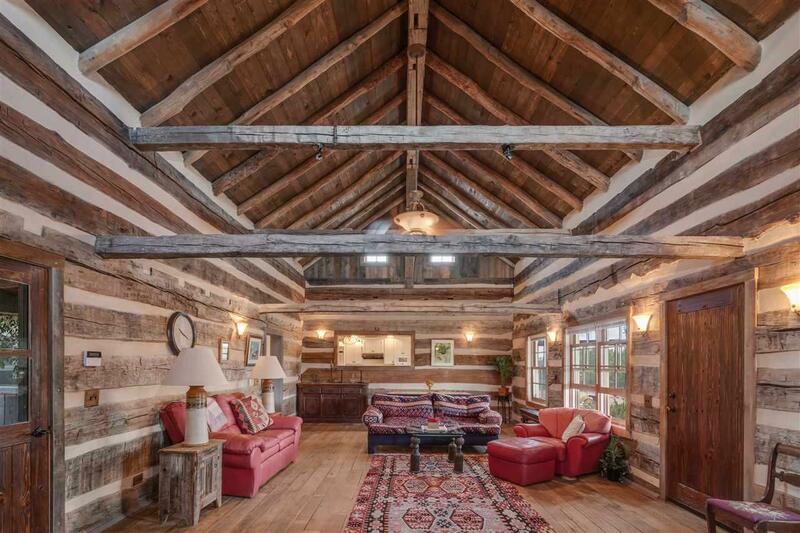 Architecturally Unique Home on 40 Acres of Ranchland. 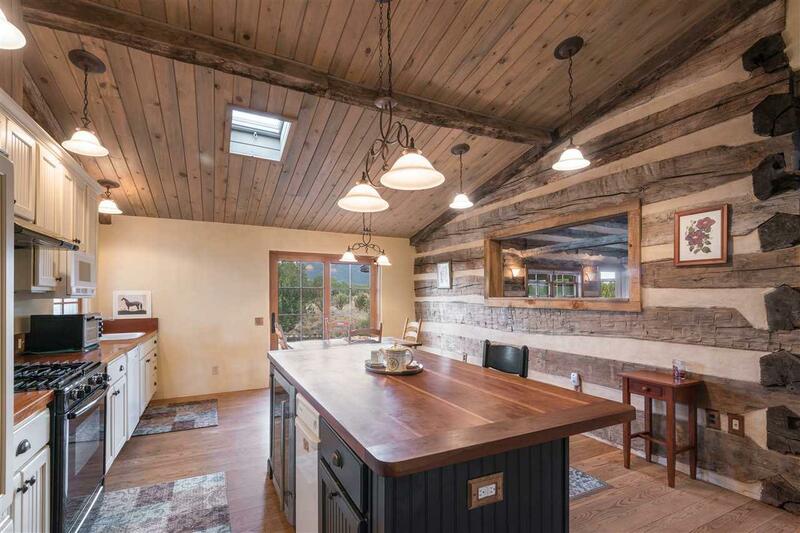 Sited on 40 acres in Cerrillos, New Mexico, this unique home with a fascinating provenance incorporates an antique log cabin in the high-ceiling, spacious living room/great room adjoined by a newly constructed modern guest wing on one side of the house and a kitchen, master bedroom and gym/home office on the other. 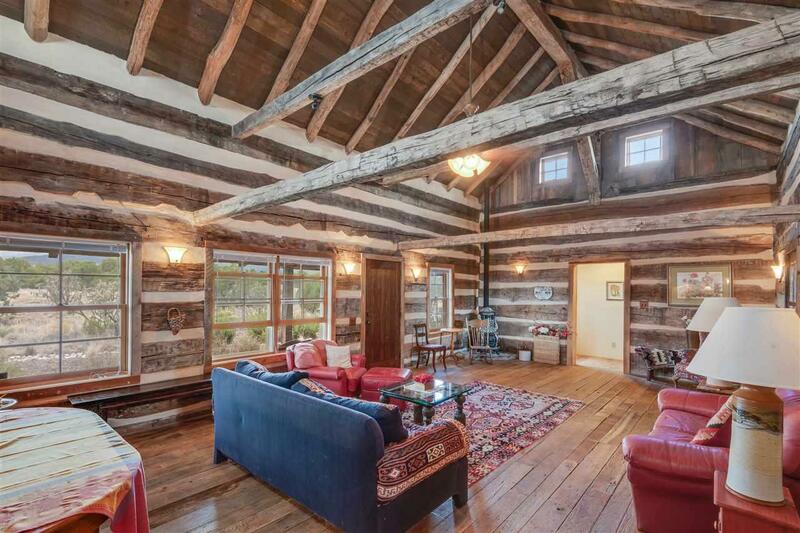 The 1813 log cabin used as the inspiration for the home was disassembled by designer Barbara Briggs, shipped to New Mexico and carefully reassembled. 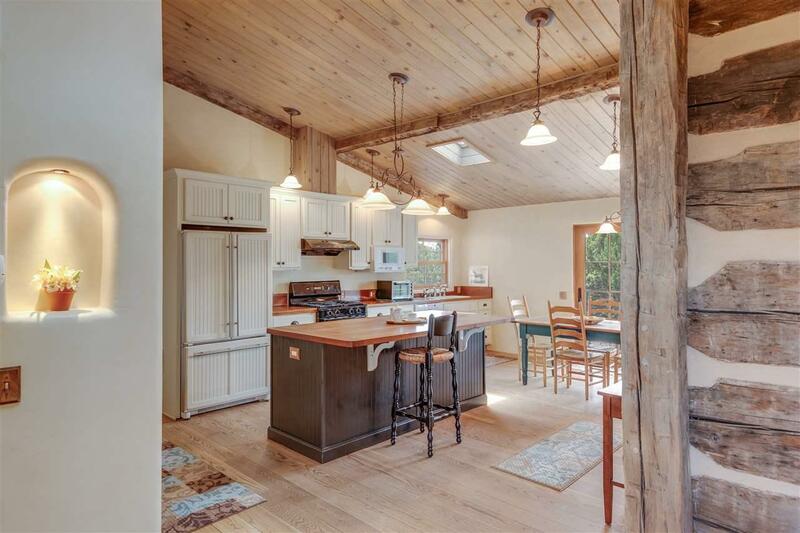 The custom kitchen features a gas stove, high-end Bosch appliances, a center island and a breakfast nook. Wide plank wood floors throughout the house lead to spacious bedrooms and bright, well-appointed bathrooms. An upscale family home with must-see details, stunning mountain views and equestrian possibilities. Other amenities include an oversized garage, 2-acres of electric fenced pasture, a small horse shelter and a covered front porch. Listing provided courtesy of Ricky Allen & Associates of Sotheby's Int. Re/Grant II. © 2019 Santa Fe Association of REALTORS®, Inc. MLS. All Rights Reserved.